Southern Sales & Services supply Kendrion LINNIG electromagnetic large clutch applications for bus and coach climate control compressors. This is the connecting element for belt driven power transmission between the crankshaft and the compressor, the air-conditioning system is switched on and off as required via the clutch. 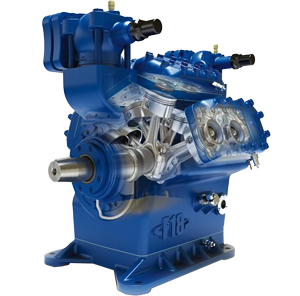 LINNIG compressor driven clutches are used by the Market Leaders of the Bus and Coach industry weather for NEW installations or for after sale replacements. If you have a requirement for a specific compressor driven clutch type, or you would like us to help you select a clutch from Linnig’s vast range for a new installation, then please do hesitate to contact us by phone or by using the quick contact form at the bottom of the page. 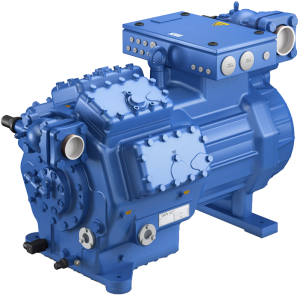 Along with the air-conditioning clutch compressor drives, Southern Sales & Services offer a variety of additional accessories for repair and servicing. A service exchange clutch rebuild program is available if you would like us to repair your worn out clutch. 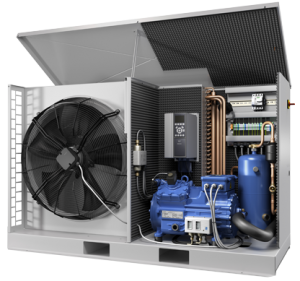 Cooling – on demand and as needed – is achieved through precise and immediate switching of the fan by temperature sensors in the cooling circuits. Rapid temperature increases are tackled by immediate action of the fan. The drives are highly efficient. Fan capacities can be adapted in accordance with increasing cooling requirements. The 1-speed is V-belt driven by the engine crankshaft pulley. When the electromagnetic fan clutch is not activated, the fan rotates with a speed of approx. 100 RPM. When activated, the fan blade runs synchronous to the drive speed. Depending on fan size, the fan blade rotates – contact-free and non-wearing – at approx. 1,200 RPM, driven by a permanent magnet system. When required, the fan blade is switched by the electromagnetic clutch and rotates synchronous to the drive speed. The electro-magnetic fan clutch is activated by temperature sensors in the cooling circuit. The 3-speed electromagnetic fan clutch is controlled by an electronic control unit or the engine EDC via temperature sensors. When the clutch is not activated, the fan rotates with up to 100 RPM. Approx. 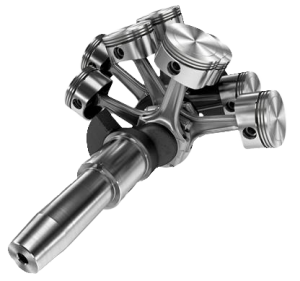 1200 RPM, depending on the fan size, are achieved in the 2-speed stage via the permanent magnet system. In the 3-speed stage, the fan blade rotates synchronous to the drive speed. LINNIG electromagnetic fan clutches are adapted according to the special applicational purpose. Depending on the application, fan clutches are available with angle gear, prop shaft and tensioning pulley in a single system unit and are used, as an example, for side-mounted radiators mounted in the direction of travel. 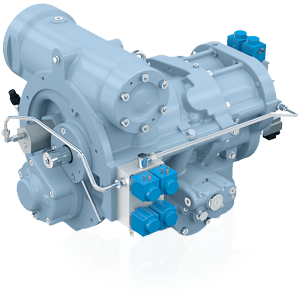 This drive unit consists of a 3-speed LINNIG electromagnetic fan clutch and an angle gear. The unit has a very compact design. 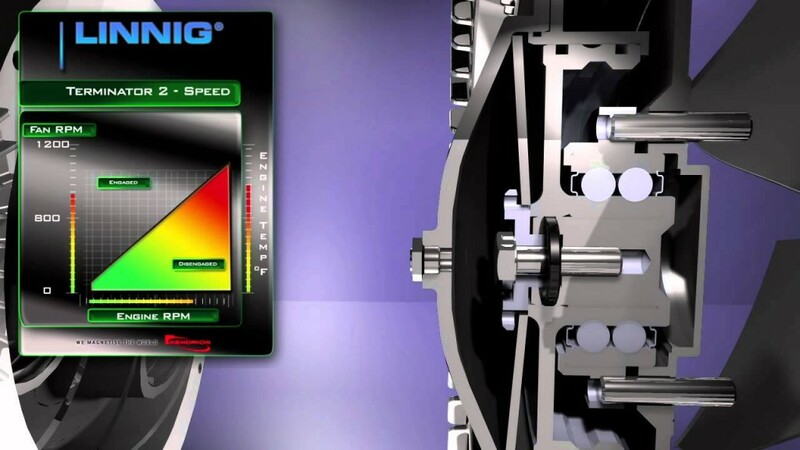 Special gear ratios enable fan speeds to be adapted to the application. 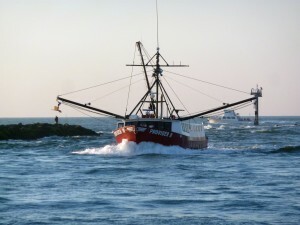 These advantages ensure less downtime and thus higher economic efficiency.